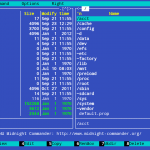 I buy Installer for Midnight Commander and I have a problem. When I want to enter to some folders like /data , /system ,/sdcard , /etc , mc show this error “Cannot read directory contents”. Phone is SGII rooted with busybox. I can navigate in this folders with cd /data and ls -l from putty with comand line. But not from putty with mc or from BetterTerminalEmulatorPro with mc. Can you please let me know what language the phone is set to, and what kernel version is it running ? I’m sorry, I forgot to ask: is it the stock rom just rooted, or is it a custom rom ? If it is a custom rom, can you please let me know which one ? It is stock rom just rooted. I use SSHDroidPro to connect with putty and I have the same problem. cd /data and ls -l are ok but if I use mc I have ” Cannot read directory contents”. 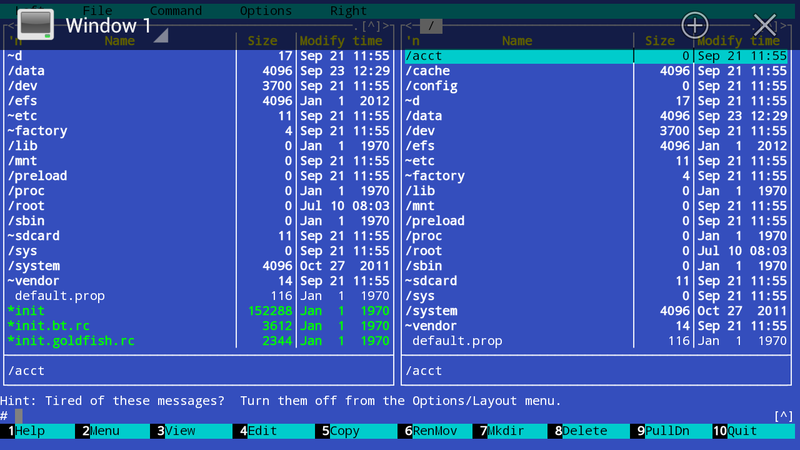 BusyBox is 1.20.2 in /system/xbin . I think I have identified the problem, and although I cannot reproduce it myself – I will put an update on the market as soon as possible. Thank you very much for your report! 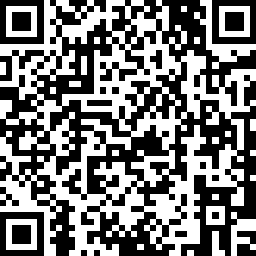 A newer version of the application (1.4) is uploaded now. It fixes the “Cannot read directory contents” bug. Please give it a try! What version of busybox are you using ? It seems it was a bug in the past with its bundled tar applet. Can you please try with a different version ? Now it is working. Thanks a lot. I also got the “invalid tar magic” message. I use Stephen Stericson’s latest BusyBox (v9.2). 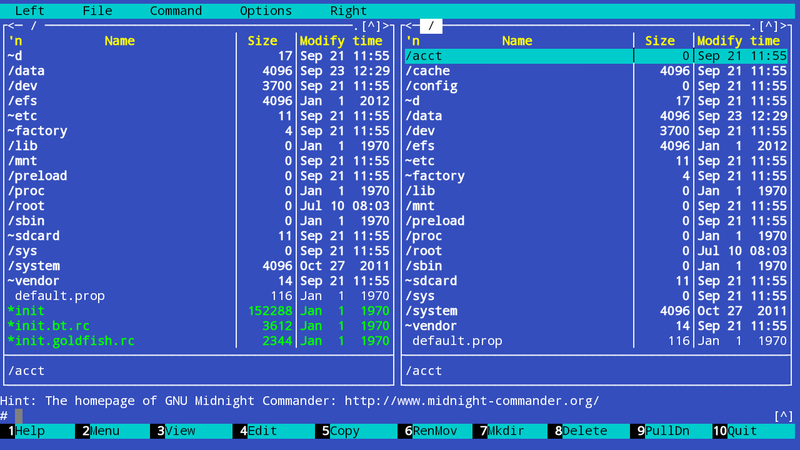 It installs busybox to /system/bin so I had to make a hardlink to /system/xbin for Midnight Commander Installer to do anything at all. The device is a Yuandao N90s tablet with rooted JB. I’ve been trying with all busybox versions from 1.17.1 to 1.20.2 and I am not able to reproduce the problem (also installing it on /system/bin and making a hard link to /system/xbin). Do you think there’s something else to be mentioned about your setup ? I’ve checked busybox source code and the error appears when tar cannot detect the compression type of the bundled kit, although for many people it works as is. I have some assumptions on why it could behave like this, but I can’t test these. Would you be willing to try out some builds and let me know if it works for you ? A new version has been uploaded, which tries to address the “invalid tar magic” error. Can you please test ? In the meantime I installed it manually as I badly needed MC : ) . I will remove it and give the new version a try but just tomorrow. I renamed the old files and installed the new version. It works now! No error, just perfect! Thanks! I assume you have already checked /system/xbin ? 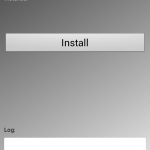 Also, please check logcat for any sign of errors, you cand start the installer and click again on instal, it just starts the whole procedure again. What versions of busybox have failed ? It might help other people in the future. Thank you and enjoy your phone! maybe something unique about the stock samsung version of android? Your email address on Play seems to be invalid! My mail bounced. I tried your app but it didn’t work. I stopped with errors like “awk not found” etc. 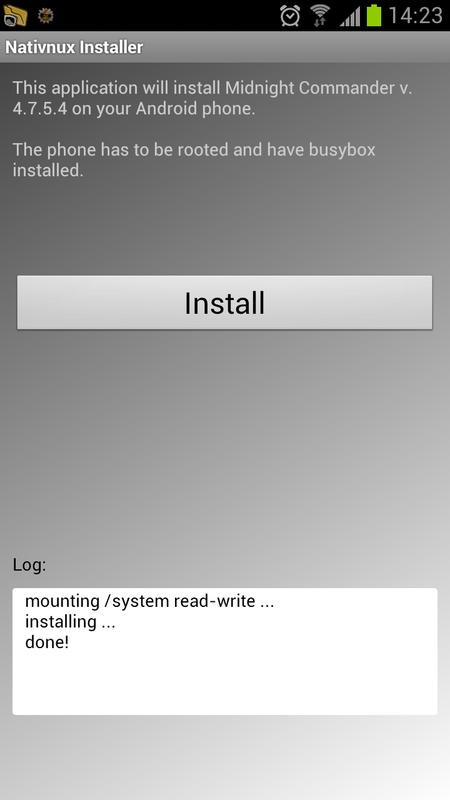 My Galaxy S4 is rooted and does have busybox installed. I uninstalled and got a refusion. Just wanted to let you know instead of giving you a bad rating. Do you have busybox installed o /system/xbin ? It is a requirement for now, and I have it planned for the next version to allow the user to specify where the busybox is installed. About the email, it is working but it is configured very aggresively against spam. If you still have the bounce reply, would you please post the error message that the server returned ? how can one uninstall this cleanly from /system? is it only the symlink in /system/xbin?